This photo shows an energetic salesman displaying his wares on the lovely Caribbean island of Belize. 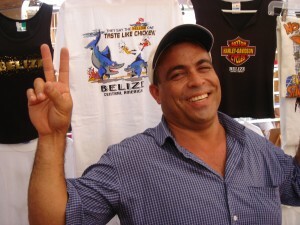 His big smile and victory sign are gestures that make him seem approachable and friendly. –My seventh grade speech teacher told me not to put my hands in my pocket, because that looks too casual. He also said not to put them behind my back, for that looks too passive. So where do I put my hands? –Do I plan or even “can” my gestures, or just let them happen naturally? –How can I use video to see whether I have distracting mannerisms I need to eliminate? –If I see someone who uses gestures effectively, should I just copy their movements? Katie Highsmith asked me these and other questions during her program “The Local Hour,” broadcasted daily on WDUN-AM in Gainesville, Georgia, 9:00 a,m on 550 AM. Listen to our brief interview. My recommendations will help you resolve your uncertainty about gestures. As a result, you will become more confident and poised next time you address a group. To hear the interview about gesturing, click the arrow below in the Podcast section of this blog page, located just above the Audio MP3 lettering. We welcome your comments and questions about gesturing. Just go to the end of the blog entry in the section below and click NO COMMENTS if none have been made, or if comments have been made click 1 comment, 2 comments, or whatever the comments button says. The comments section will appear. 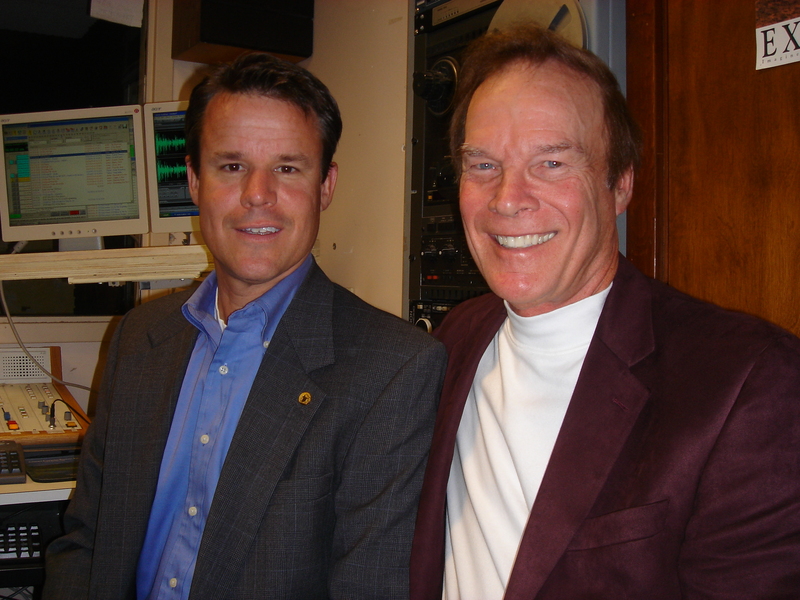 Brent Hoffman, an award winning leader in commercial real estate services, visited “The Communication Corner”–my weekly interview program for WBCX-FM, 89.1, “The Voice of Brenau”–to describe the qualities you need to succeed in a sales career. Additionally, he has held top volunteer positions with Gainesville, Georgia’s most prestigious organizations. To hear my interview with Brent, click the arrow below in the Podcast section of this blog page, located just above the Audio MP3 lettering. We welcome your comments and questions about sales and a sales career. Just go to the end of the blog entry in the section below and click NO COMMENTS if none have been made, or if comments have been made click 1 comment, 2 comments, or whatever the comments button says. The comments section will appear.